Will has authored four books, most recently Why School? How Education Must Change When Learning and Information are Everywhere (September, 2012) published by TED books and based on his most recent TEDx talk in Melbourne, Australia. Why School? is now the #1 best-selling TED book ever. In total, his books have sold over 150,000 copies worldwide. 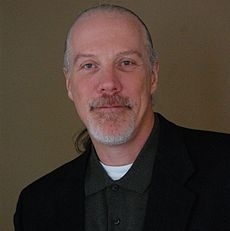 A former public school educator of 22 years, Will is a co-founder of Modern Learner Media which is dedicated to helping parents (raisingmodernlearners.com) and policy makers develop new contexts for new conversations around education. He also co-founded Powerful Learning Practice (plpnetwork.com), a unique professional development program that has mentored over 10,000 teachers around the world in the last six years. Over the past eight years, he has spoken to tens of thousands of educators in over a dozen countries about the merits of online learning networks for personal and professional growth. Will lives in rural New Jersey with his wife Wendy and his children Tess and Tucker.